Today is my birthday and what better way to celebrate than sharing this article featuring Amanda talking about her adventures and sharing a couple of recipes! 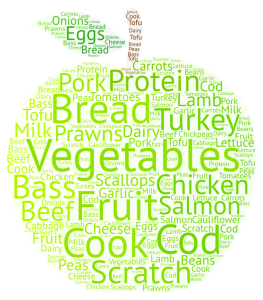 Check out this amazing blog where you will discover great recipes and interesting articles. I love my blogging community. 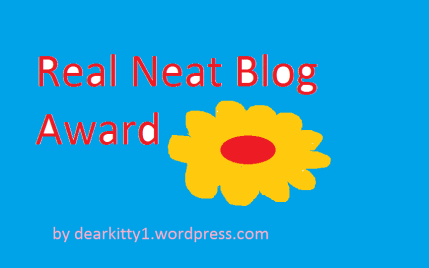 Everyone is so supportive and I am delighted when I´m featured on their blogs. 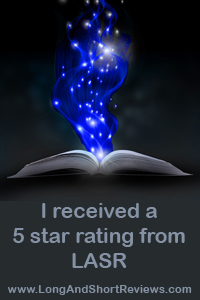 The story was sufficiently fast-paced to keep him interested and he wanted to read every night [instead of his usual practice of procrastinating for as long as possible before getting down to his reading]. I enjoyed the book too and thought the language was pitched at the right level for a middle school reader. Please check out her blog. Robbie and her son not only write exciting children’s books featuring Sir Chocolate, they create the most amazing things out of fondant. The series of books about Sir Chocolate and his friends are also cookbooks. 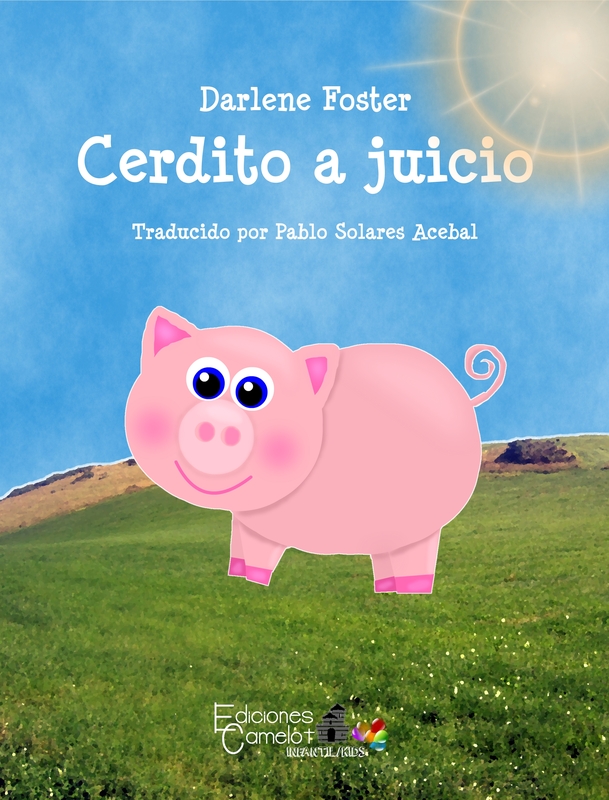 Each book includes a children’s story written in poetry form about the world of Sir Chocolate and five recipes that children can make with adult supervision. How cool is that? Fishing boy cake created by Robbie Cheadle. Love those fondant cows! My good blogging friend, Sally Cronin is running a feature on her blog called The Ultimate Bucket List and invited us to share two things on our personal bucket list. If you want to know what mine are read on. Sally has also asked us to share posts from our archives. 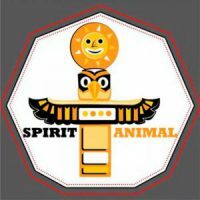 I decided to share one of mine from three years ago that features inspiration for my most recent book, Amanda in New Mexico-Ghosts in the Wind. Sally, a talented writer herself, works tirelessly at promoting other writers. She is like the Fairy Godmother of Writers and we all appreciate everything she does. 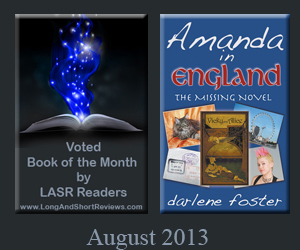 Check out her blog Smorgasbord – Variety is the spice of life if you haven’t already. There is something for everyone. 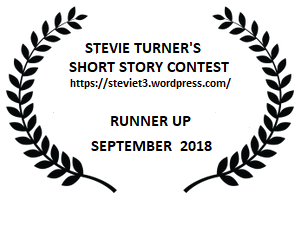 Thank you to everyone who reads, likes, shares and comments on my posts. It makes my day!! Cook from Scratch – Australian Apple Chocolate Cake from Darlene Foster. 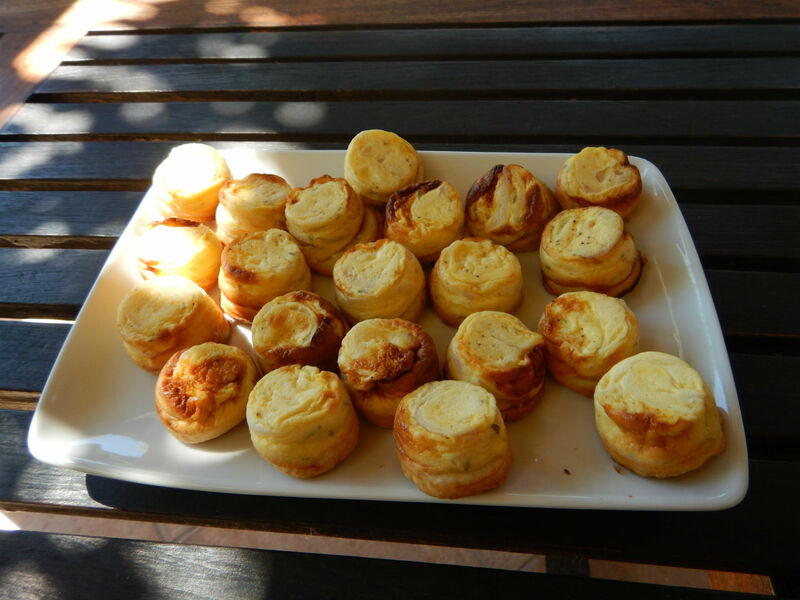 Check out one of my favourite recipes on Sally´s blog. Darlene Foster very kindly sent in this dessert which she and her family enjoy. If you have a recipe that you would like to share then contact me via the link at the end of the post. I enjoy making desserts from scratch. We don´t often have dessert but when we do, it has to be homemade. I love this one from a recipe book I was given as a gift. It is always a hit with hubby and guests. 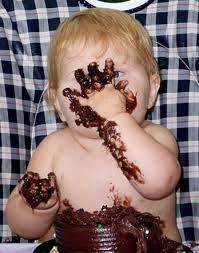 Everyone loves a bit of chocolate! The pure Valor chocolate is great but any chocolate will do. It is a perfect recipe for those who require gluton or lactose free desserts. The dolop of whipped cream is optional. I often serve it with a couple of strawberries on the side. 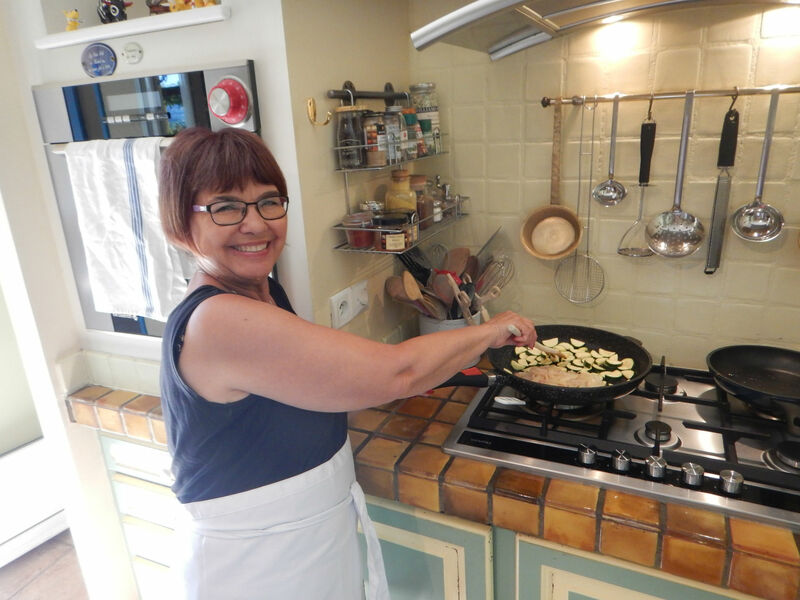 My favourite day in Provence was when we attended a cooking class in Vaison la Romaine. 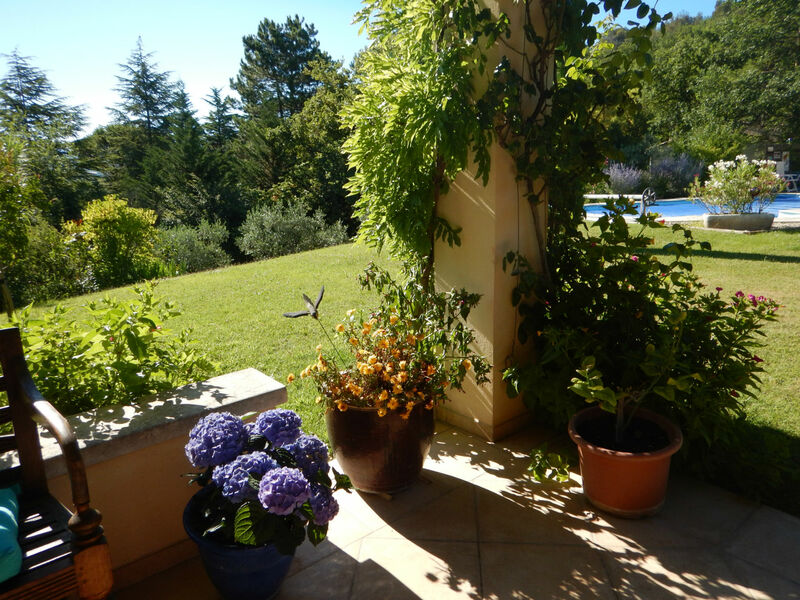 Cuisine de Provence is run by the lovely Barbara Schurenberg at her picturesque country home. The grounds are postcard perfect. 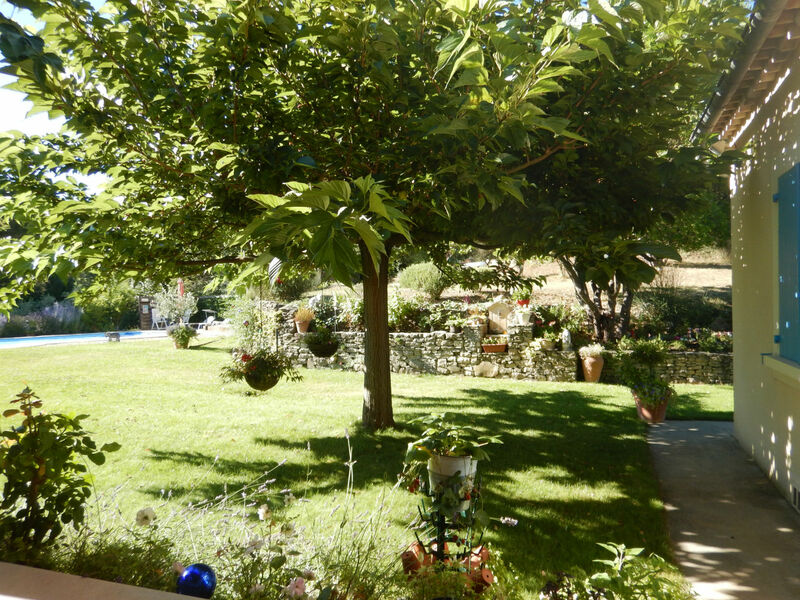 They include an olive grove, where the olives are harvested and pressed into olive oil used in all her cooking. There is also a substantial herb garden. 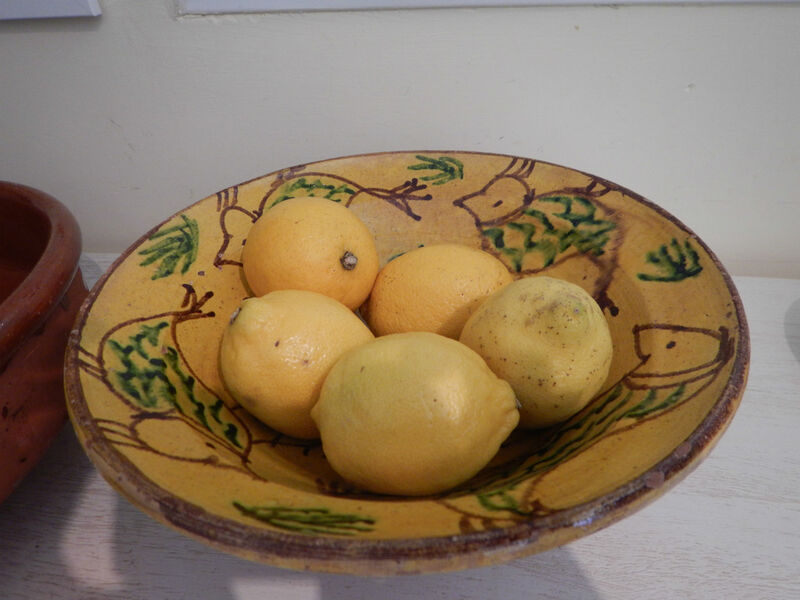 Our class of four learned to make typical Provencal dishes using fresh, seasonal ingredients. Barbara was an excellent instructor using a hands-on style of teaching, giving each of us an opportunity to practice what we learned. At the end of the lesson, we sat down to a feast of our efforts and a glass of local wine, served on the terrace. We left with tummies full, a file of recipes and smiles on our faces. 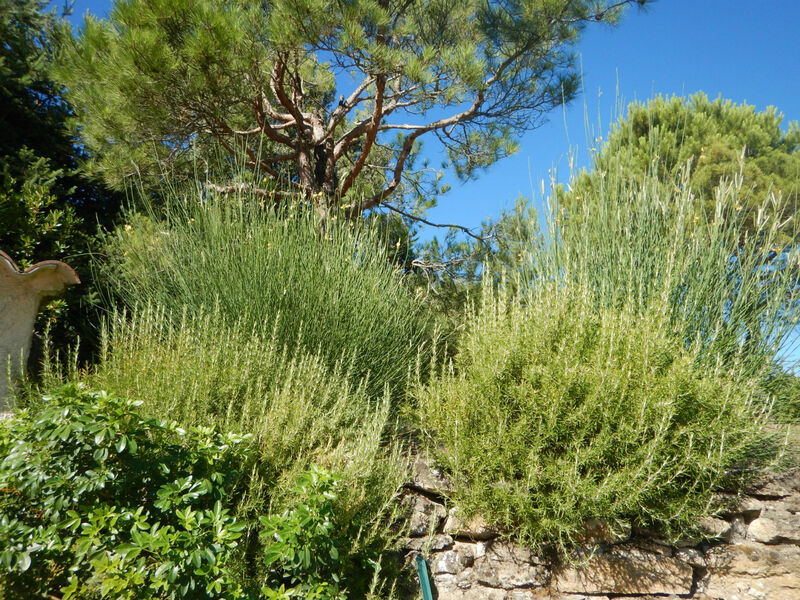 We started by picking herbs from the garden and then learned how to chop them very fine to make our own Herbs de Provence. We made Tapenade with green and black olives. The secret ingredient – two anchovy fillets. Oh dear, I guess it is not a secret anymore. It was excellent served on a fresh baguette! We also made Verrine Melon Glace. Very refreshing on a hot day. 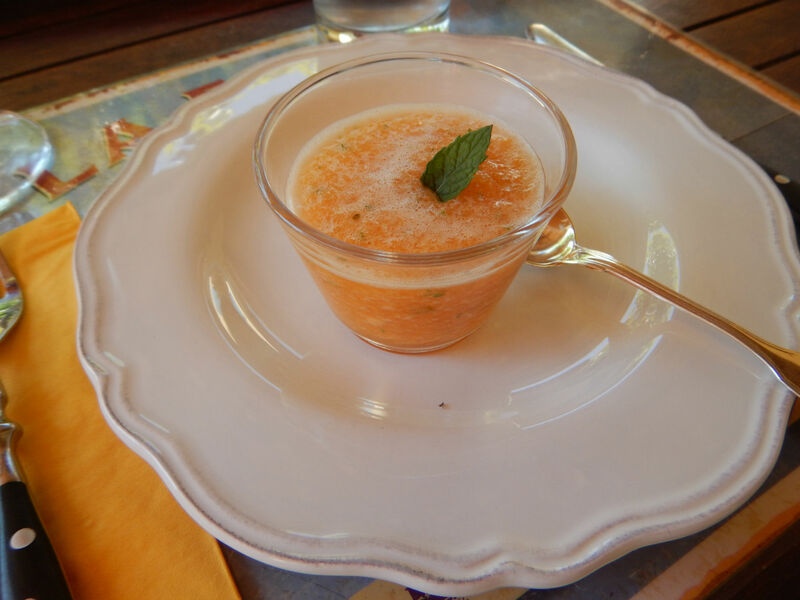 Provence’s answer to Gazpacho and so easy to make. Here I am making Mini Onion Tarte Tatins, covering the mixture with puff pastry. It was two French sisters, Carolina and Stephine Tatin, who created the upside down tarte by accident, in their hotel during the 1880s. The finished tatins straight out of the oven. A great hors-d’oeuvre to delight your guests. 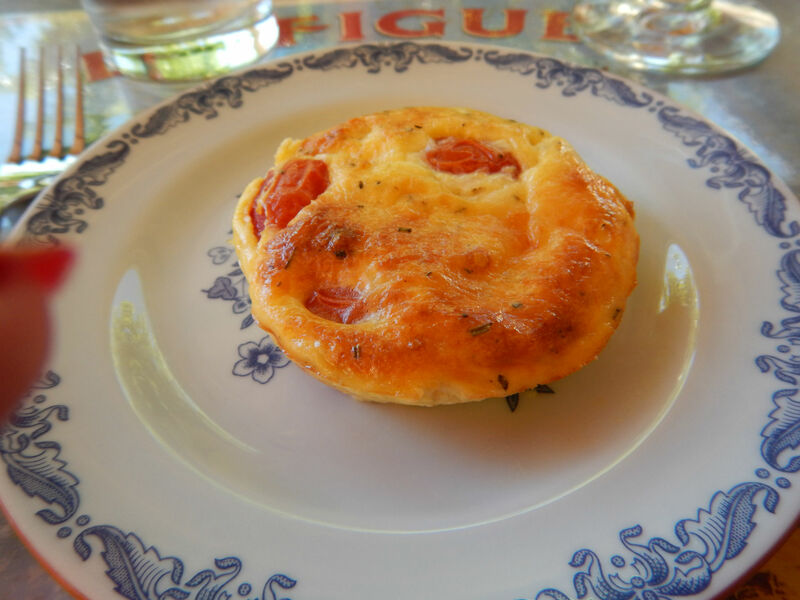 My favourite was the Petites Quiches Provencales made with sweet grape tomatoes straight from the garden. 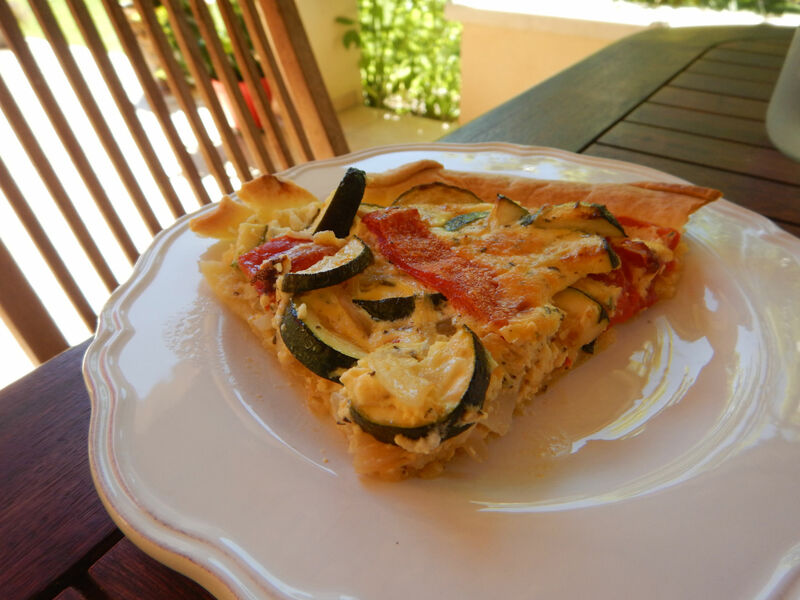 I have made this crustless quiche since I came home and am proud to say it turned out well. This will be a regular at my house now. Sauteing the vegetables for the Tarte Provencale. Am I having fun or what? The finished Tarte Provencale, soooo tasty. This and a salad is all I need for a summer meal. 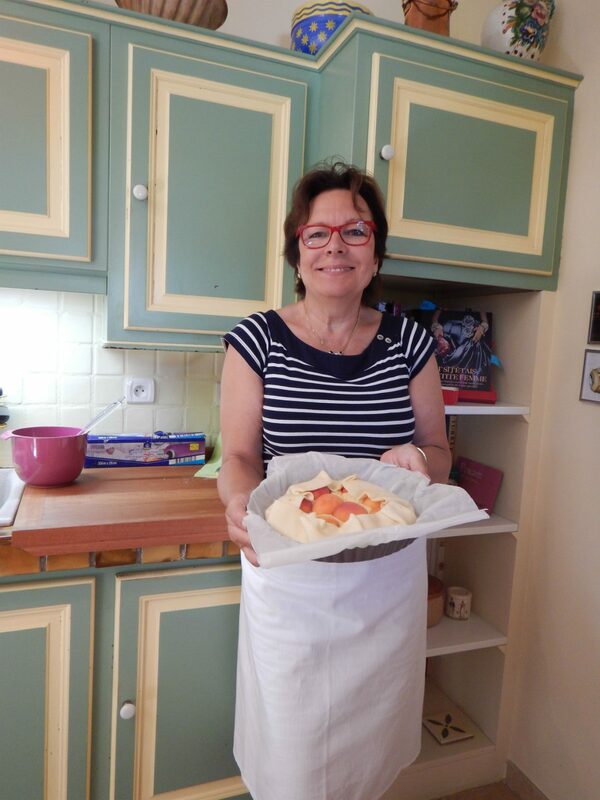 Our excellent instructor, Barbara, with the Apricot Galette ready for the oven. Barbara is mentioned in Rick Steves’ Provence and the French Riviera. The Apricot Galette ready to eat. A perfect dessert. 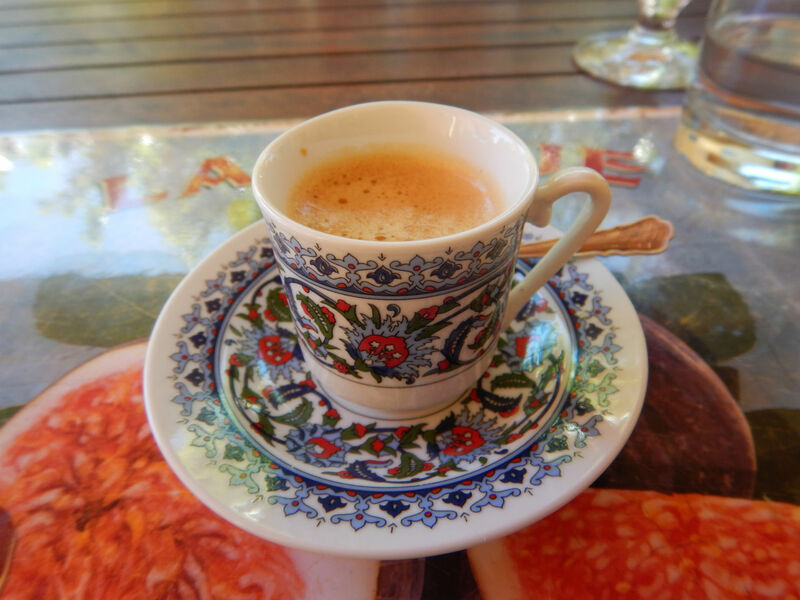 We finished off the meal with a cup of espresso. It was a marvellous day, one I will never forget. Especially every time I make one of the delicious recipes at home. 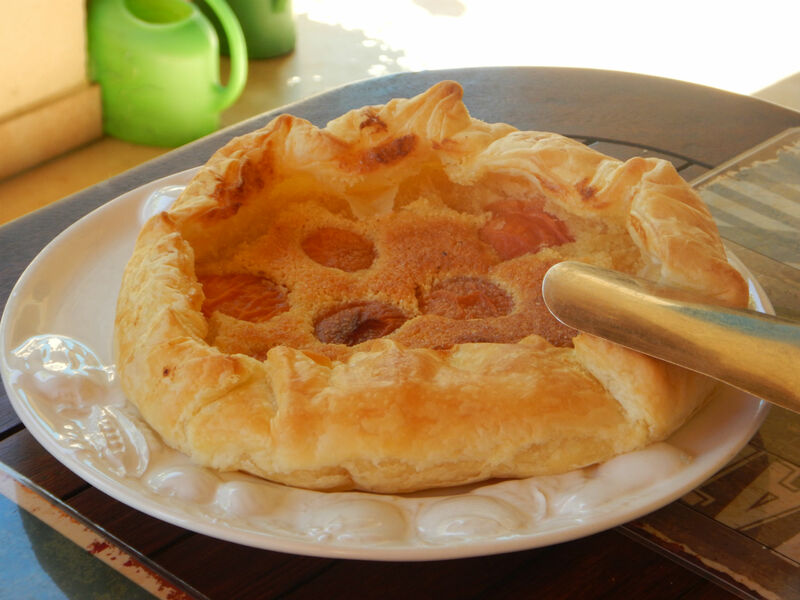 Hubby is looking forward to the Apricot Galette and the Poulet Provencal, which I plan to make very soon. Note the perfect quote on the wall in Barbara’s kitchen. 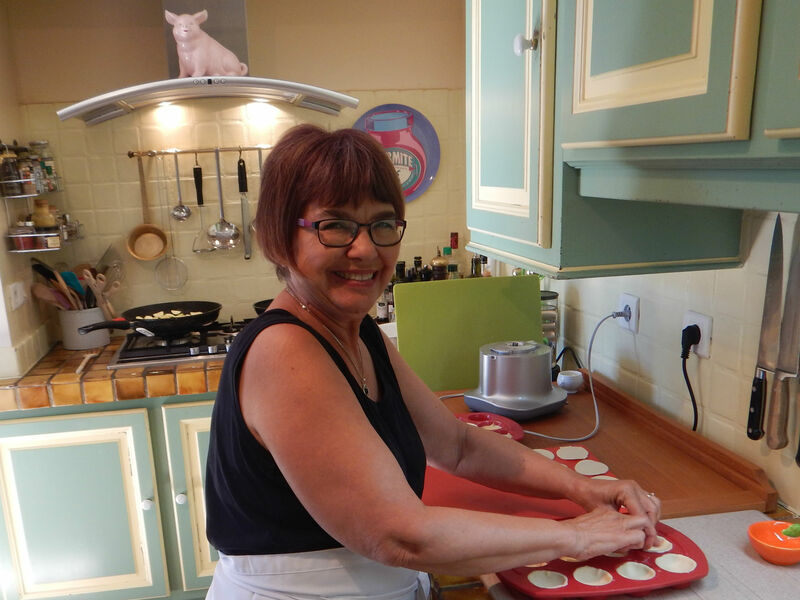 If you are ever in the area, I suggest you consider taking a class with Barbara at Cuisine de Provence. 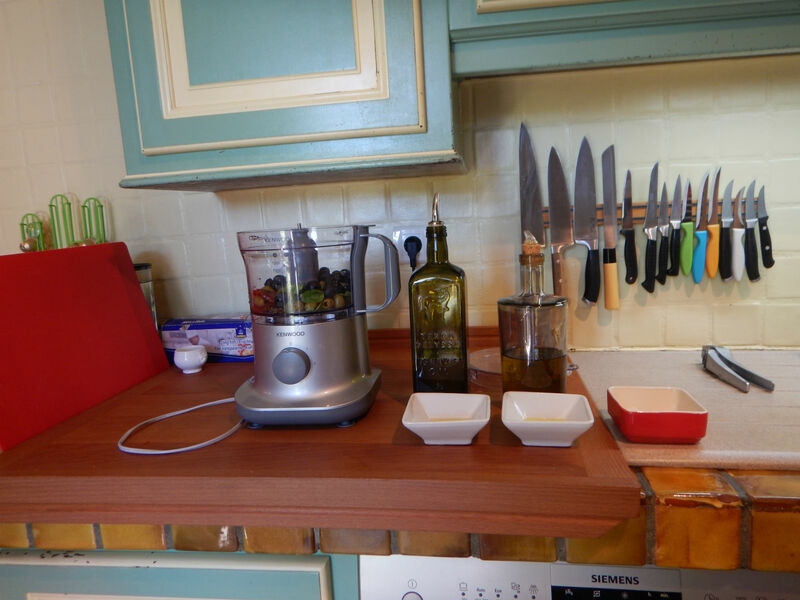 She has a variety of recipes and changes what she teaches daily. My friend has taken three classes already and each one was unique. Check out her website here. 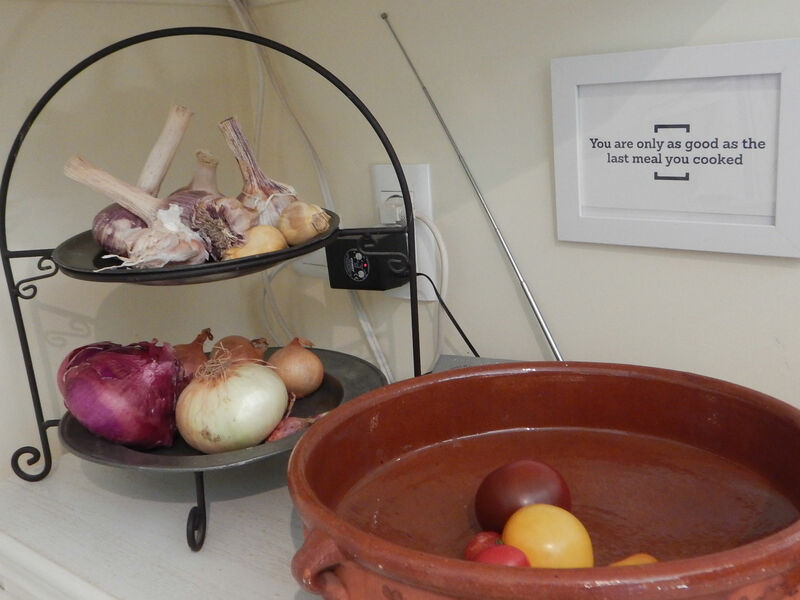 Have you ever taken a cooking class while visiting another location?